The second most important cleric in the Russian Orthodox Church visits the Far East. In Beijing he cited the 222 Chinese martyrs killed during the Boxer Uprising (1900). In Pyongyang he gave a gift to Kim Jong-un from Patriarch Kirill. Russia’s Church and diplomats work together abroad. 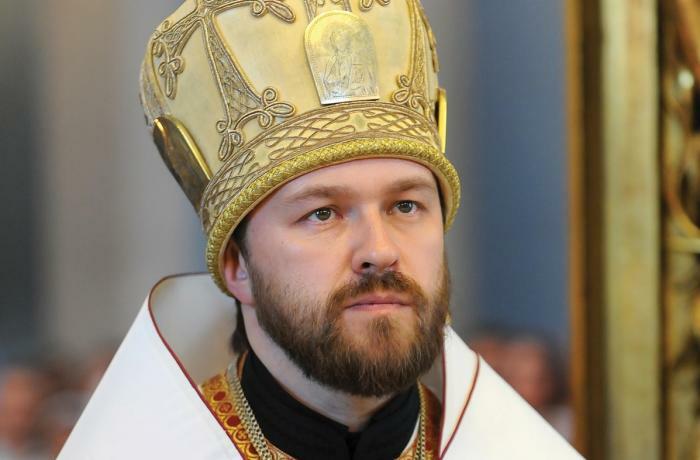 Moscow (AsiaNews) – Metropolitan Hilarion (Alfeyev) of Volokolamsk, the most important cleric in the Russian Church after Patriarch Kirill, visited Beijing 23-24 November. Before travelling to the two Koreas, he celebrated a Divine Liturgy in the Church of the Dormition of the Mother of God, in the Russian embassy in Beijing, together with Church Rector Hieromonk Innokenty (Kolesnikov), and Archbishop Sergey (Chashin) of Solnechnogorsk, Administrative Secretary of the Patriarch of Moscow and all Russia. 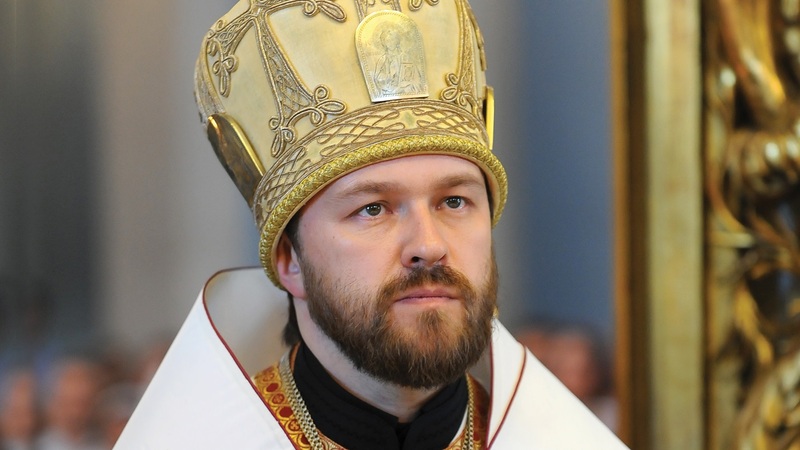 Hilarion also noted the concerns and efforts of the Patriarchate in helping the autonomous Chinese Orthodox Church in its journey an atheist state. The Russian delegation then left for Seoul, where it visited the local Orthodox community before moving onto Pyongyang, where it delivered a gift from Patriarch Kirill to North Korean leader Kim Jong-Un. Russia and North Korea are marking 70 years of diplomatic relations this year, and the visit is part of the celebrations for this anniversary. Metropolitan Hilarion was able to celebrate the Divine Liturgy in the Church of the Life-giving Trinity together with Fr Feodor Kim, dean of the church, and other priests serving Russian churches in the Far East, from which came Russian missions left to go to China, Korea and Japan. During the celebration, prayers were offered in memory of the servant of God Andrei Karlov, ambassador and "hero of Russia", killed by an Islamic terrorist in 2016 at an art exhibit in Ankara, Turkey. Karlov served in North Korea from 2001 to 2006, and had made a special effort to build a Russian Orthodox church in Pyongyang, which was later consecrated in 2006 by Kirill himself. The current patriarch was then head of the Patriarchate’s Foreign Relations Department, a post now held by Hilarion. The parish of Pyongyang was officially registered with the North Korean government following negotiations that lasted a few years in which the Patriarchate was backed by Russian diplomats. Speaking about the Gospel of the Good Samaritan, Metropolitan Hilarion noted that "The Lord has called everyone to his Church to share the treasures of the spirit with our neighbours. It is therefore no coincidence that this magnificent church is located in the centre of Pyongyang ... Its doors are always open to those who want to receive the Holy Communion, and be together with the Lord. This church is a true miracle, which blesses those who are present and those who are outside." After his visit to North Korea, Metropolitan Hilarion made another stopover in Beijing where he met Russian ambassador Andrey Denisov to look at the joint efforts by the Church and the Russian government in support of the autonomous Chinese Orthodox Church, following the example of the good relations with Pyongyang.